This month we are talking about Extremely Simple Couponing and I’m sharing some of the basic strategies for Saving Money that Extreme Couponing Shoppers use along with my tips for making Saving Money as Stress Free as possible! So many times Couponing can be overwhelming and I really want to empower you to understand the process better but also to realize it doesn’t take a lot of time or effort to save money you just have to pick the level that works best for you. Over the last year as my life has gotten crazier I’ve found it harder and harder to keep up with insert coupons. I started using the Clipless Method (I’ll talk more about that in a few days) And I started relying more and more on Printable Coupons! There are so many great resources for Printable Coupons online and In addition to the Printable Coupons and deals we share with you every day I wanted to give you my Top 25 Printable Coupon Websites. We post TONS of Coupons & In Store Deals Every Day, the easiest way to stay up to date on all the deals each week is by signing up for our Daily Email Updates! You will get 5 of the HOTTEST Deals every morning sent straight to your email! This is the BEST way to stay on top of all the awesome deals we share each day! 1. Coupons.com – This is probably the #1 Site for Printing Coupons Online, You can print all of these coupons directly from our website just Bookmark this page here – There are new coupons added daily! Did you know that we use Direct links to coupons to make it easier for you to find the coupon you’re looking for. Just change your zip code to the zip code listed in the post (If there is one) and then Click the link to the coupon, if the coupon is still available it should pop up first! That way you aren’t searching through hundreds of coupons trying to find the right one! 2. RedPlum – These coupons are typically updated on Sundays! So check back each Sunday, often times the high value coupons go quickly because they have very low print limits so if you see a coupon you want don’t forget to print it right away! You can bookmark this page for RedPlum Coupons. 3. Smartsource – Another one of my favorite sites, these aren’t updated as frequently but there are some really great coupons occasionally. 4. Target Coupons – You can find Manufacturer Coupons and Target Store Coupons on the Target Coupons Page! 5. Hopster – Hopster offers Higher Value Coupons for smaller brands and occasionally has great offers you can “Boost” To get High Value Coupons! Check out the Current Hopster Coupons Here. 6. Common Kindness – If you are looking for Organic or Gluten Free Coupons make sure you check out the Common Kindness Website! You can get coupons on Gluten Free Products, All Natural Products and more! Check out the Current Common Kindness Coupons Here. 7. Mambo Sprouts – One of THE BEST Sources for Organic and Gluten Free Coupons! Mambo Sprouts offers great coupons that you can print from your computer and use at your local health food stores. These coupons come in waves, I’m not seeing any currently but you can always check for new offers here. 8. Whole Foods – If you have a Whole Foods in your area make sure you check the Whole Foods Coupons Page frequently, you can find exclusive coupons to use in Whole Foods Stores and you can even stack store coupons with Manufacturer Coupons! 9. 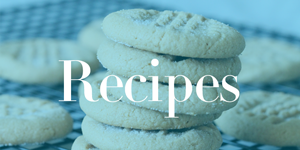 Betty Crocker – Sign up for the Betty Crocker Newsletter and get access to over $250 in FREE Printable Coupons each year! Often times these coupons are Higher Value Coupons than what we see on Coupons.com or RedPlum & it’s also a great resource if you have a deal where you need additional coupons! 10. Pillsbury – You can get High Value Coupons for Pillsbury Crescent Rolls, Pillsbury Cinnamon Rolls and more when you sign up for the Pillsbury Savings Club & Newsletter. They update the coupons at the first of each month, the higher value coupons go quickly + You’ll get high value coupons in your email so make sure you check the bottom of every email. 11. Wounded Warrior Coupons – A few times a year they release High Value Coupons on the Wounded Warrior Website. You can check the website here for coupons, but I’ll also be sure to let you know as soon as I see new coupons added! 12. Johnson & Johnson Healthy Essentials – This site is updated about every quarter with great High Value Coupons for Johnson & Johnson Family Products. Everything from Aveeno to Clean & Clear, Band Aid and more! Make sure you check back frequently for new coupons. See all the current coupons on the Healthy Essentials Website. 13. Rite Aid Video Values – You can print new Rite Aid Store Coupons each month from the Rite Aid Video Values Website! This is a great resource for coupons that you can stack with Manufacturer Coupons! If you have a Rite Aid near you make sure you watch these short videos and print your Rite Aid Video Values Coupons each month! 14. Earth Fare Coupons – You can get some great coupons for Organic and Gluten Free items + all Natural Beauty Items on the Earth Fare Website. These are typically only valid in Earth Fare Stores. 15. CVS Coupon Page – Occasionally there are coupons with the CVS Pharmacy Logo that are CVS Store Coupons, these can be stacked with the other printables such as those on Coupons.com for awesome savings! 16. Tablespoon – You can get awesome coupons on healthy living products from General Mills when you check out the Table Spoon Website! 17. Kellogg’s Family Rewards – You can get some HIGH VALUE Coupons from the Kellogg’s Family Rewards Site. Most of these are on Kellogg’s Cereals but we also see coupons for Kellogg’s Pop Tarts, Special K Products and more! Check out the Current Kellogg’s Family Rewards Coupons Here. 18. Saving Star – These aren’t exactly Printable Coupons but the Savings Star Offers are too good to miss! You can get Completely Free Items every Friday + There are eCoupons and Buy More Offers you can load into your store loyalty cards that will save you on top of your Printable Coupons! Sign up for SavingStar here. 19. P&G Everyday – You can print tons of great P&G Coupons every day from the P&G Everyday Coupons Page. Click Here to see all the current Printable P&G Coupons available. 20. Family Dollar – You can occasionally find great High Value Coupons to use in store at Family Dollar on the Family Dollar Coupon Page! You can also get Mobile Offers by texting the words on the coupons to 28767 and the coupon will arrive on your mobile phone which means you don’t have to use any printer paper or ink! See all the Family Dollar Coupons Here. 21. Dollar General Coupons – You can get some great In Store Coupons and Manufacturer Coupons on the Dollar General Website. Most of the coupons that print with the Dollar General Logo are Store Coupons which can be stacked with Manufacturer Coupons. You can also sign up for Digital Coupons and use your phone number to redeem coupons in stores, this is a great way to avoid the costs of printing coupons. 22. Hasbro Rewards – You can get great High Value Printable Coupons from the Hasbro Rewards Website! This is a great place to get Toy and Game Coupons and they typically update this with new coupons every few months. We also see great high value coupons around Easter and Christmas. 23. Tylenol Coupons – This page is updated frequently with the best Tylenol Brand Coupons, Check back often because as new products are released they often update this page with new high value offers. See all the Tylenol Coupons Available Here. 24. Scotch Brand Coupons – You can get High Value Savings on 3M, Scotch and Ace Brand Products on the Scotch Brand Coupon Page. These coupons are updated frequently and they use the Smartsource Printer Drivers so make sure you have that downloaded before you try to print. 25. Box Tops for Education – You can earn Box Tops for your school when you print these coupons for Box Tops Products. Typically these are slightly higher value coupons so it’s a great resource + It’s another way to get additional coupons for popular General Mills and Betty Crocker products. whats the best and affordable printer for coupon printing? Saving Money on Printer Ink, Paper and more!